There are days that my under-eye circles are so dark, I'm fairly certain they can be seen from space. I'm never without them, unfortunately, but when I'm suffering from lack of sleep? They're unbelievable. Well, until La Prairie White Caviar Illuminating Eye Serum came along, that is. One stopper-full of this serum and my circles all but disappear. I've tested this serum on only three hours of sleep, when I looked like I had two black eyes, and within minutes the circles had lightened until they were barely visible. And as if that's not enough, the serum is formulated with golden caviar extracts that lift and firm the skin -- so luxe and divine. 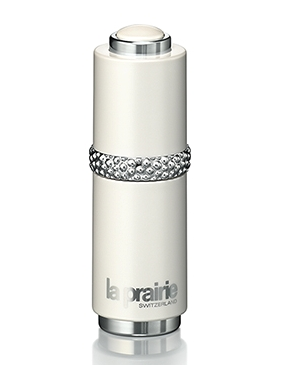 La Prairie White Caviar Illuminating Eye Serum retails for $250 at laprairie.com.